It is important to note, when a customer makes a reservation request, it does not guarantee reservation. A qualified member of the Allegheny Ford Truck team will contact the customer as soon as possible to confirm the appointment. Drivers looking to insure their personal automobiles have known for a long time that big name policy providers offer savings of more than 15 percent in as little as 15 minutes. By no means is Allegheny Ford Isuzu looking to establish itself as a discount insurance carrier, but the Pittsburgh dealerships program for commercial vehicle rental is prepared to take on the big names in its own industry doing national chains one better when it comes to local value. With respect to industries that rely on the use of pickups, cargo vans and passenger wagons, we understand each vehicles role in maintaining a profitable operation. This is why our dealership has developed a program for local businesses with needs that include pickup truck and passenger, and cargo van rental in Pittsburgh and all throughout the Steel Citys’ metropolitan reach. 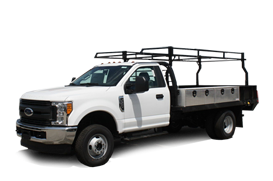 Accompanying commercial staples like Ford F-250 and the full-size Transit, our week-long rental terms allow local businesses with vehicle downtime to maintain a functional presence in their respective fields. Best of all, we make the utility of its rental fleet available at rates often 20 percent less than national competitors. 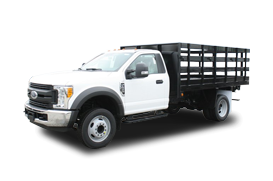 Starting as low as $425 per week for a gas-powered pickup from Fords F-Series, Allegheny Ford Trucks supports local businesses in need of commercial vehicle rentals with low rates and high mileage allowances. We include 1,000 miles as part of the programs weekly rate though that’s just one of the values built into our local solution for pickup truck and passenger/cargo van rental in Pittsburgh. More favorable rates are also available for those that require month-long or multiple vehicle rental arrangements. 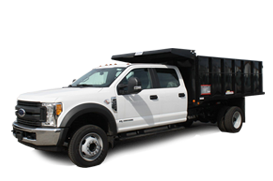 Simply contact Tracy in our Rental Department for more information on what our rental program can do to improve your current commercial vehicle situation. In addition to the pickups and cargo vans included in Allegheny Fords’ rental program, we also serve those with a need for high-occupancy passenger vans. Local businesses can leverage our resources for temporary access to passenger vans for a $725 weekly rental that includes unlimited miles. To make a rental reservation with us, businesses and fleet managers are encouraged to contact the dealership at (412) 481-9600. Make the most of any short-term vehicle needs your business may face with pickup truck and passenger van rental in Pittsburgh courtesy of Allegheny Ford Isuzu.